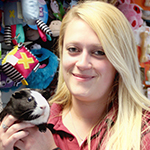 Tracie leads the Pet Care Advisor team at Pets Place in Stowmarket where she enjoys daily contact with clients and their pets. 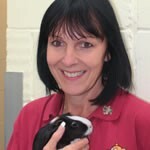 Tracie loves animals and has looked after a variety of pets over the years, from horses and goats to chickens and geese. She currently has two rescued cats and two pugs, one of whom was an abandoned stray that she personally nursed back to health. 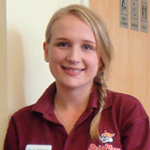 Sophie began her training with the practice in 2010 and works in both Pets Place and as part of the veterinary reception team. 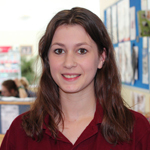 A keen animal lover, Sophie has cats, guinea pigs, snails, fish and a hamster! 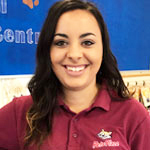 A member of the Pets Place team since 2006, Lisa enjoys taking part in the day to day care of our resident guinea pigs, degus and conures as well as helping clients choose the correct products for their pets. 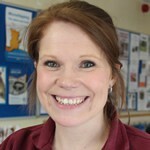 Lisa keeps cats as well as a few pet chickens and is always keen to help clients find the right pets. Karen has worked in Pets Place since 2006. She enjoys going away for holidays in her touring caravan and spending time gardening. Jo has grown up around animals, both large and small and joined the practice to train to be a Pet Care Advisor. She shares her time between administration and Pets Place and enjoys work in just about every part of the practice. 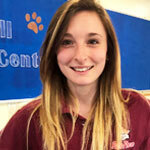 Ellena works in the Pet Care Advisor team at Pets Place, Stowmarket. Ellena’s household is home to two degus, Sid and Diego, guinea pigs called Batman and Robin, and a hamster named Hayley. 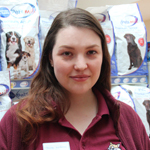 Georgina has been part of the Pet Care Advisor team since 2013. With a keen interest and passion for nursing she is currently training to be a veterinary nurse at Central College of Animal Studies. 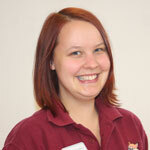 Elina has worked at both Moreton Hall and Stowe Veterinary Centre for many years. She has two young daughters who keep her and her husband very busy. 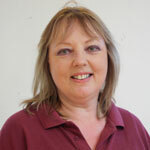 Carol joined the team at Pets Place Moreton Hall in 2008. She has grown up around animals; mostly cats and dogs. She has a bichon frise called Alfie Moon who is 8 years old. Carol enjoys holidays, especially in America and spending time with her grandchildren. 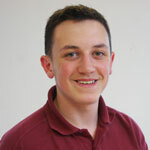 Josh joined the team at Pets Place after doing voluntary work in the Veterinary Centre. He has two border collies and enjoy going running and fitness. 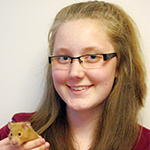 Alice joined the Pets Place team in April 2016, She loves working within the team and meeting clients and their pets. She has a Jack Russell called Gyp, who loves going on long walks and day trips with her and her fiancé. 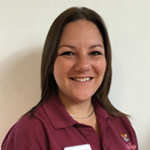 Gemma joined the practice in November 2016 as a Pet Care Advisor. She now also works with the reception team. At home she has two noisy guinea pigs and an 11-year-old Jack Russell called Lucy. Zahra joined the pet shop team in April 2017. Outside of work, she enjoys looking after her animals which include a leopard gecko, chickens and a miniature pinscher called Hugo. I have always wanted to work with animals, but finally took the plunge and started on a vet nursing course. Alongside this, I work in the pet shop. I have two hairless sphinx cats and a giant Sulcata tortoise, as well as lots and lots of snakes! I’ve also had chameleons, a bosc monitor, hermit crabs, frogs and tarantulas as pets – my fantasy pet is a sloth! My hobbies include being creative – crochet, embroidery, painting, sweing and many other crafts – and I’m currently learning to play the ukulele.